Construct-A-Lead’s comprehensive online construction database supplies the enormous, construction marketplace with valuable information for companies to be able to compete in the multi-billion dollar construction arena. The following construction projects offer users insight into the area’s student housing construction activity. Construct-A-Lead is an online construction lead service that helps contractors, service providers, manufacturers and suppliers gain information on all large scale construction projects. The service features apartment construction, hotel construction, retail construction, medical construction, school renovations & more, including those hard-to-find private project leads, to help bid on construction, from planning stage- completion. Construct-A-Lead, the industry’s most comprehensive construction lead service, announces the following student housing projects will go forward. Construct-A-Lead’s newly implemented advanced search feature allows the user to find their leads or key contacts by project type, location, bid stage, dollar value, company, or keyword. Users are able to track projects status, save searches, put personalized notes on projects, email a project to a colleague or customer, reach out directly to the decision maker and download construction leads with a one-touch feature. Interested parties are invited to visit Construct-A-Lead.com and sign up for a no obligation test drive, where they will be able to experience these newly integrated features. Users will be able to receive regular alerts on new and updated construction projects, in accordance with the individual’s preference. 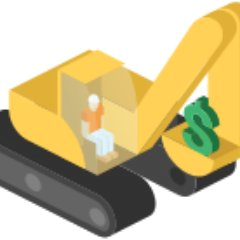 Construct-A-Lead is an online database that connects users to large-scale commercial construction projects, including those hidden, private project leads. The service features hotel construction, office buildings, retail construction, medical facilities, school renovations and much more, to help bid on construction including those hard-to-find private project leads, from planning stage through completion. Construct-A-Lead’s daily updates of commercial construction project leads are an ideal solution for those who want to put their product or service into commercial, government and religious structures. For more information, visit Construct-A-Lead.com online or call 855-874-1491.